The Bayside High gang's favorite spot, The Max, has been brought to life. You can relive “Saved By The Bell” right now! 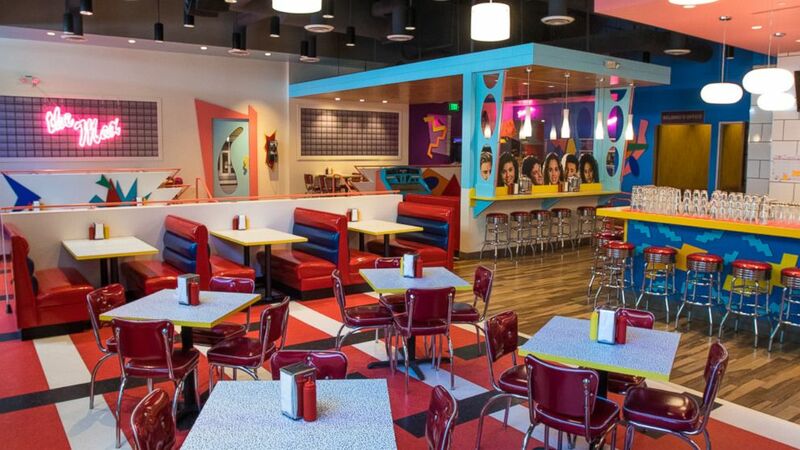 The Bayside High gang’s favorite afterschool spot, “The Max,” has been brought to life at this Los Angeles pop-up shop. “Good Morning America” got the full tour of the ‘90s-themed restaurant and even caught up with the restaurant's namesake, Max, the character played by Ed Alonzo, himself. “Almost 30 years later and now a Max restaurant is here,” Alonzo told GMA. Michelin Star Chef Brian Fisher is at the culinary helm serving epic diner food -- like A.C. Sliders, Mac & Screech and Kelly Kapowski Monte Cristo -- named after the show's famous characters. The West Hollywood pop-up is currently taking reservations through 2019, so go get your grub on, preppies! Barista Lee Kang Bin recreates famous paintings and makes 3D collages on lattes.